We will create a portal where you can maintain and procure print, digital and promotional materials with the friendliest technology around. And the web interface is brandable giving it a company’s unique look and feel. Benefit from a "common cart" solution to procure company business cards, forms and marketing materials or showcase products in a company store. Maintain corporate control and preserve brand identity through managed product repositories and features such as manager order approval and cost center/charge back designation. Standard functionality including simple category navigation, quick search, multiple image views and order history support the online ordering experience. And our variable on-demand program enables you to customize corporate business documents and marketing collateral with ability to view a proof instantly. Document template forms auto-fill with stored profile data to eliminate typesetting expense, reduce errors and speed ordering. Whether it's a small company catalog or enterprise product marketplace, our talented development team will build a dynamic, private storefront with company brand appeal where employees can browse product catalogs and securely place online orders. Orders can be processed with credit card payment or cost center designation. And since charge back allocations are recorded at the order level, transaction detail is available to assist with accounting reconciliation. Efficient, effective, engaging and easy to learn. 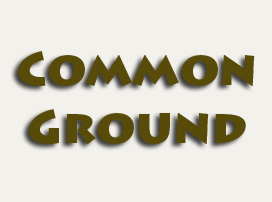 Experience E'ase with Common Ground.